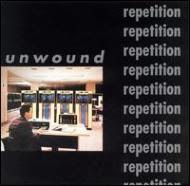 Unwound is a great band that was around for ten years or so and never got nearly as popular as they should have. Critics often called them the "west coast Sonic Youth" but that's a pretty stupid comparison to make. Other than the fact that Unwound had some noise rock influences, there's no reason to tag them with that label. You won't find many bands that sound like these guys. Every record they put out was extremely solid, but Repetition has always been my personnel favorite. This record was a turning point for the band, because it marked the first time they began to incorporate synths and other instruments into their music. It also showcases the band often relying heavily on their rhythm section for hooks, which allows for some really intricate guitar work. I'd love to hear this album, but the link is apparently dead. Any way to re-upload it? Thanks guys!